....a simple drawing of us thanking our guests .. this one will be placed on each individual guest table, with our personal penned thank you note." 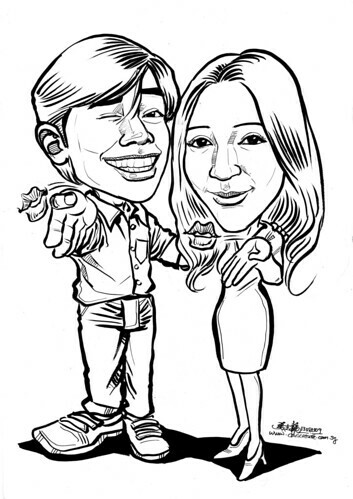 Personally, I think this caricature will look better in colour. The facial muscles will be better shown. That's my forte too. But since the client requested in black and white, I will just do it.